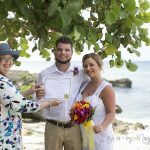 When this couple from Raleigh, North Carolina contacted me to officiate their remarriage in Cayman on Easter Monday, 2011 I had a few misgivings. 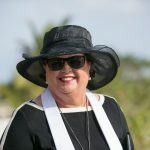 Easter weekend is traditionally camping time, and hundreds of Caymanians camp along the entire Seven Mile Beach. Experience has taught us not to even try to do weddings on public beaches at this time. 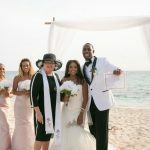 Fortunately we have friends who manage some of the condominiums, and we made arrangements for this couple to have their ceremony at Regal Beach. 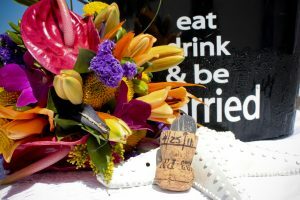 Simply Weddings conducts and plans weddings on Saturdays, Sundays and Public Holidays. 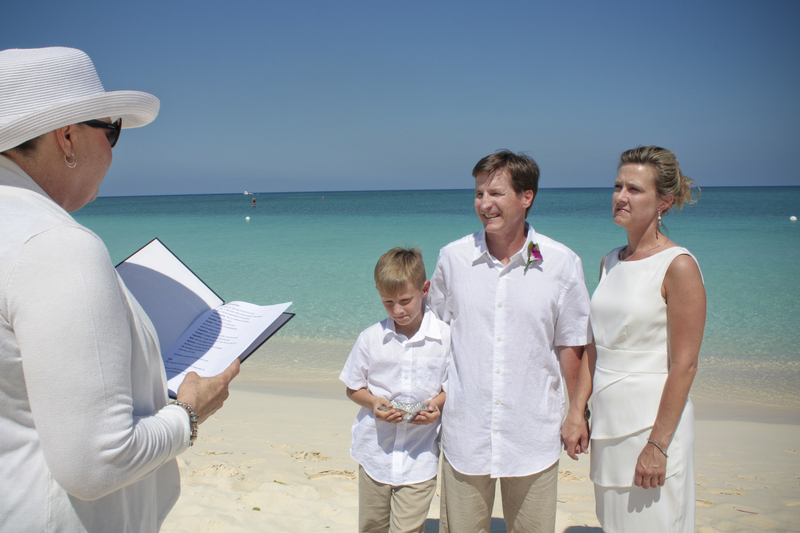 We make arrangements with the Governor's Office to get your Special Marriage License in advance. Of course we can only do this if you send the required application form, and scanned copies of your documents in advance. 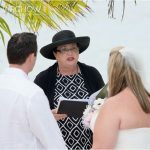 I structured the wedding ceremony so the couple's 10 year old son could be a part of the ceremony. It is also possible to have children sign the unofficial record of your wedding, in addition to your official witnesses. If you are travelling as just a couple, we can provide witnesses as part of your all-inclusive Cayman wedding package. Our wedding photography package is second to none, with excellent professional photographers and videographers. You own the images, and receive them on a CD mailed to you about a week after the wedding. 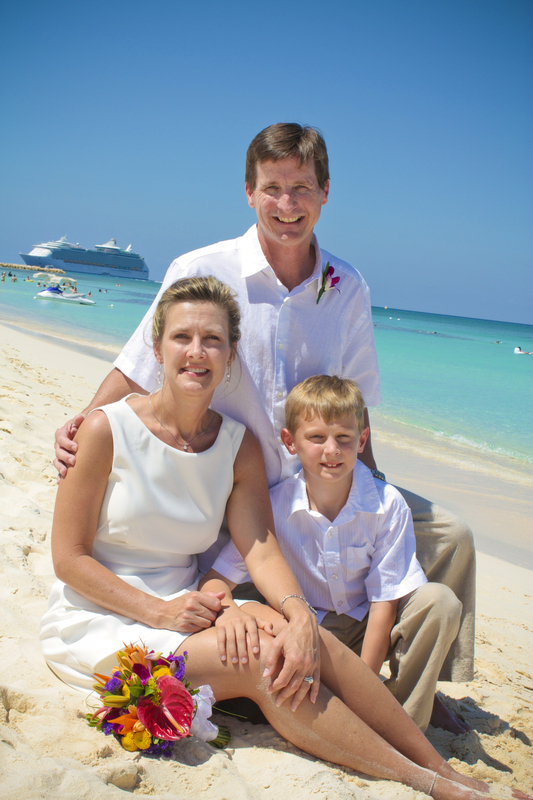 Children love the sparkling white sands of Seven Mile Beach, and the clear water. 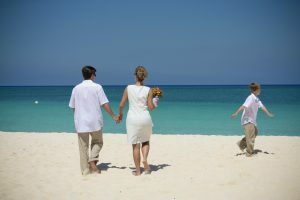 Make sure you schedule some time on the beach for them to enjoy a very special experience on one of the world's great wedding beaches.